Whereas elephants are flung to their deaths by accident, the killings of tigress Avni and the puppies at NRS Medical College and Hospital were decidedly deliberate. The animal kingdom is in danger. To use a variant of the title of Bert Hanstra’s classic film, the ape has of late been the target of the superape’s fury, embedded in calculated malevolence. As much is the dire message from Maharashtra, where a tigress was recently killed by the forest authorities, to the murder of as many as 16 puppies inside a government hospital ~ of all places ~ in Kolkata, not to forget the killing of elephants by speeding trains. Such tragedies are almost uniformly horrendous. But whereas elephants are flung to their deaths by accident, the killings of tigress Avni and the puppies at NRS Medical College and Hospital were decidedly deliberate. Indeed, the deaths showcase the difference between accident and design. Apart from the two nursing students, who have been arrested on the basis of video clips of the puppies being beaten to death, the authorities are no less responsible for their failure to sanitise the complex, indeed to make the sprawling area free from the menace of stray dogs. This is the very least that can be expected in a state healthcare facility. Small wonder that nursing students in general were up in arms on Thursday, demanding that NRS Hospital be made a dog-free zone. 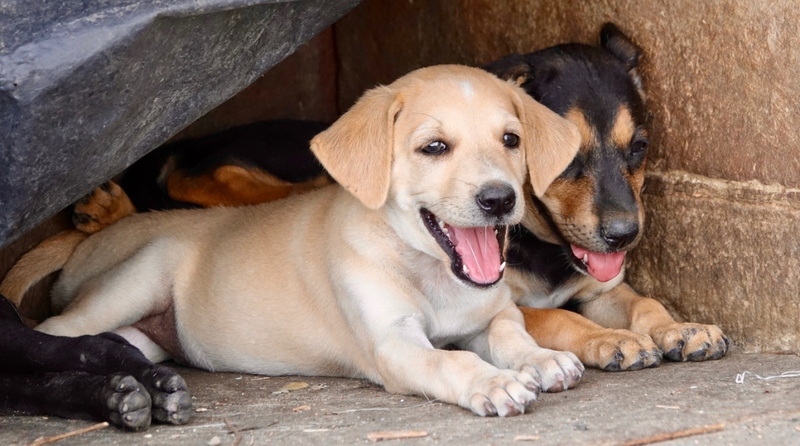 Besides the creatures that roam both inside and outside the wards, “dog waste” is a standing source of secondary infection that can be no less dangerous than the illness itself. To claim that the fear of being bitten drove the nurses-to-be to kill the puppies is to proceed from conclusion to premise. The supposedly presumptive logic is perilously skewed, a feeble defence of an ugly truth. Hence the warning by the Union minister for women and child development, Maneka Gandhi, that the licence of the nursing college inside the hospital premises would be cancelled if the students responsible for the brutal killings are not suspended. The tragedy calls for a far more incisive investigation than has been manifest since last Sunday when the puppies were done to death. Confusion was made worse confounded when 100 nurses stormed a meeting at the hospital on Thursday, demanding that the two fellow-students be allowed to rejoin their classes once released on bail. A decision on so critical an issue must rest with the West Bengal government’s health department and the Nursing Council. Not wholly unrelated is the Mayor’s admission that the Kolkata Municipal Corporation has failed to keep pace with the increasing spread of stray dogs across the city. In the aftermath of the NRS incident, Firhad Hakim has been frank enough to admit that sterilisation has failed. Sixteen puppies had to die to make the municipal authorities see reason and decide on action.